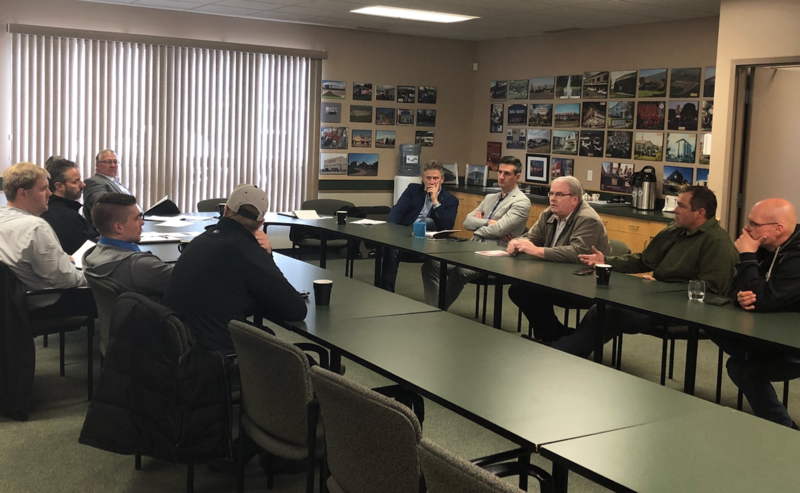 Member of Parliament Earl Dreeshen (Red Deer – Mountain View) and Member of Parliament Blaine Calkins (Red Deer – Lacombe) hosted a roundtable discussion with local stakeholders today to discuss steel, aluminum, and retaliatory tariffs. Conservative MPs have been meeting with local businesses across the country on these topics as a part of the Defend Local Jobs Tour. If any local businesses, tradespeople, or contractors would like to submit further information about how these tariffs and other trade issues are affecting them, they can contact either MP Calkins or MP Dreeshen.